SuperNutritionist News | Eat Well. Live Well. Be Well. A note from the SuperNutritionist: I’ve been known to bash the avocado. But my interns Emily and Paxton convinced me that the avocado should get another shot, and I’m glad I gave it another try. Why not put a spin on the “bacon and egg” breakfast staple and replace bacon with avocado slices? Avocados are considered one of the world’s healthiest foods because they contain 25 essential nutrients including vitamin A, B, C, E, & K, copper, iron, phosphorus, magnesium, and potassium. Who knew all these nutrients could come in one food? Avocados, nuts and bacon all have similar fat contents, but that’s where the similarity ends. People see the word “fat” and immediately think that the food is bad for you. Well, that is not true, especially with avocados. Avocados contain monounsaturated fat, also known as the good fat, and can actually lower your risk of heart disease. Bacon, on the other hand, contains saturated fat, which may increase your risk of heart disease. Nuts, contain mostly unsaturated fat (which is good) and are rich in phytochemicals and antioxidants that help prevent diseases. 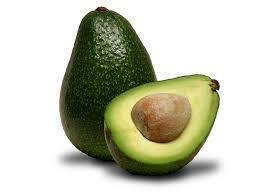 Ounce for ounce, avocado contains 5 times more potassium than almonds. By choosing an avocado over other foods that contain fat, you may lower your risk of heart disease and get more nutrients per serving. It’s no wonder that avocados are considered a “superfood”. An avocado has an average of 240 calories, so if you are eating more avocado, remember to eat less of something else. Next time you go for Mexican food add avocado to your burrito or order a side of guacamole for dipping. Avocados are yummy by themselves with a little bit of salt and pepper. As a topping, avocados are great on fish, chicken or burgers. They can even be swapped for other diet staples to create a healthier dish, like an avocado and egg sandwich.. Get creative and make avocados, one of the world’s “superfoods”, a part of your diet! Ever look at a nutrition label and have no idea what you are looking at? You’re not alone. Most people walk into a grocery store, pick up a food label and have no idea what it means. So maybe it is time that we work together to understand what’s on our labels in order to achieve our ideal weight. You may ask, can reading a food label really help me achieve my fitness goals? Some studies in fact show that people who read food labels are more likely to have a lower BMI. What is the FDA doing to combat a lack of food label literacy? Well, changes are underway to increase the general public’s understanding of nutrition labels. This is the first change the FDA has made to food labels in over 20 years. The biggest reason for these changes is to make it easier for people to understand nutrition labels so people will have an easier time making healthier choices when shopping for food. The first change the FDA recommends for food labels is increasing the size of the calorie font. People will also be able to tell the portion size of the food these calories are coming from by enlarging the font of the servings per container. By making the calories a larger font, people’s attention becomes focused on exactly how many calories they are consuming. This is a significant improvement to beforehand, when the number of calories was lost amidst all of the other nutrition information. However, it is important to remember that counting calories may not be the best way to lose weight and eat healthier. You should be looking at the ingredients to make sure you are eating REAL food.. The second big change proposed is adding a label for the amount of added sugar in foods rather than just a generic “sugar” section. There is a significant difference between naturally occurring sugar, such as that in fruits, and added sugar in processed foods. This goes back to the idea of not just counting calories but eating real food, since some healthy foods have naturally occurring sugar. The American Heart Association recommends that you consume no more than 100-150 calories of added sugar per day, so it is important to know how much added sugar you are consuming. Hopefully these changes will make for a healthier America! Will they help you understand the information on a nutrition label better?